A few weeks ago, I read the most heart wrenching story in the Charlotte Observer about a 6-year-old girl named Jordan who is currently being treated at Presbyterian Hospital (the same hospital where I volunteer!) for leukemia. Despite undergoing rounds of chemotherapy, she needs a bone marrow transplant in order to live. Not only is the Charlotte community rallying behind this brave little girl, but the NASCAR community is stepping up, too. 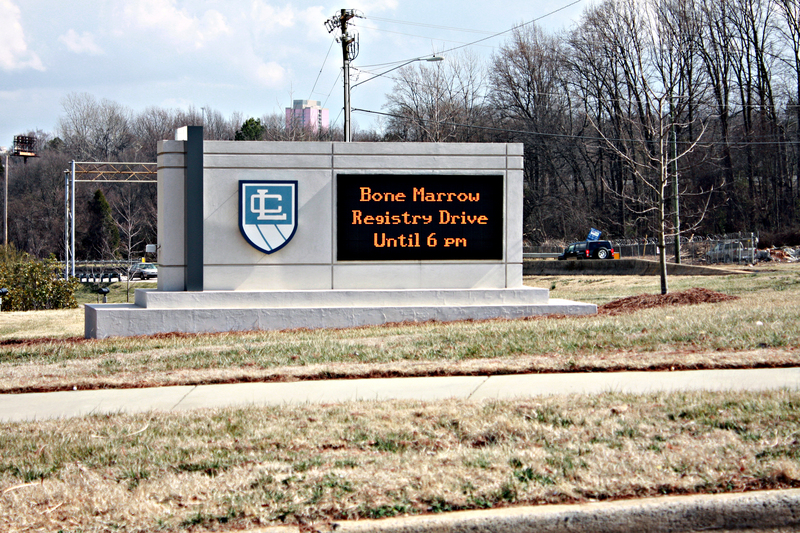 I had never considered becoming a bone marrow donor before reading about Jordan Jemsek. After reading her story, I found myself on BeTheMatch.org learning about the process of bone marrow donation and what steps I needed to take to get listed on the national registry. 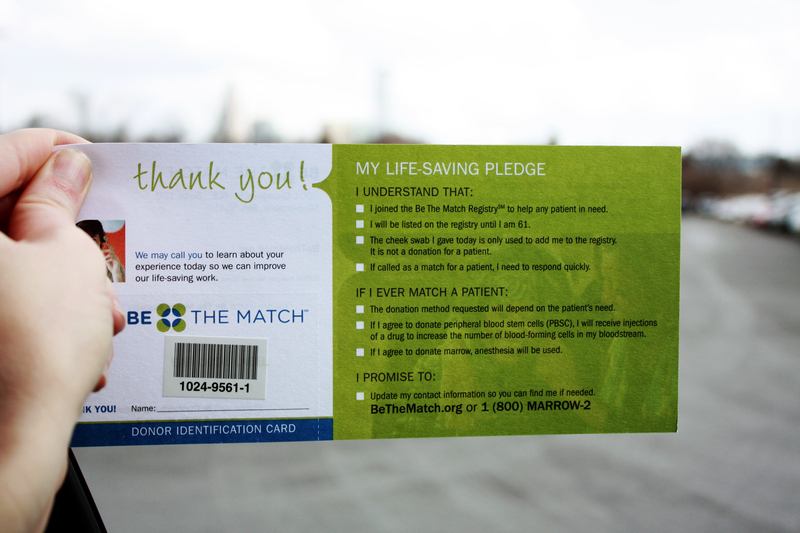 I then discovered that a Be The Match Donor Registry Drive would be taking place today at the Charlotte School of Law. So, during my lunch break (and with the windows rolled down because it is a BEAUTIFUL spring-like day here in the Carolinas), I took a short drive to the westside. The donor registry process was so simple. I filled out a form listing my contact information, confirmed that I did not participate in risky behaviors (high-five for Just Saying No! ), and then had my cheeks swabbed with 5 cotton, uh, swabs. In fact, I didn’t even have to attend the donor registry drive if I didn’t want to. I could have simply ordered a swab kit online via the Be The Match website. However, since I’m working from home this week, it was a welcome chance to have face-to-face conversation with someone other than my dog. You’re awesome, Steph! Jordan is the honored girl for the Leukemia/Lymphoma Society’s Man/Woman of the Year Campaign this year, so I thank you on behalf of the Committee for doing this and promoting it to others!